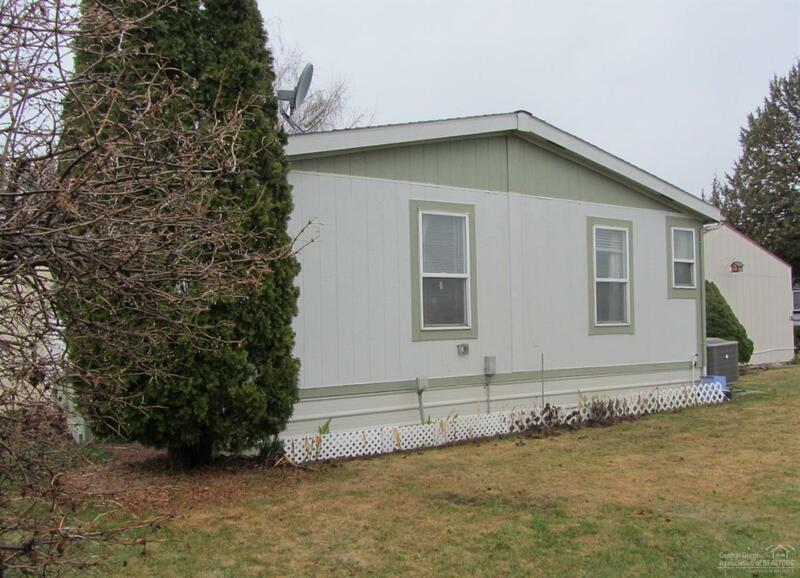 Spotless 2 bedroom 2 bath manufactured home situated in over-55 park close to open land, airport, shopping, medical. 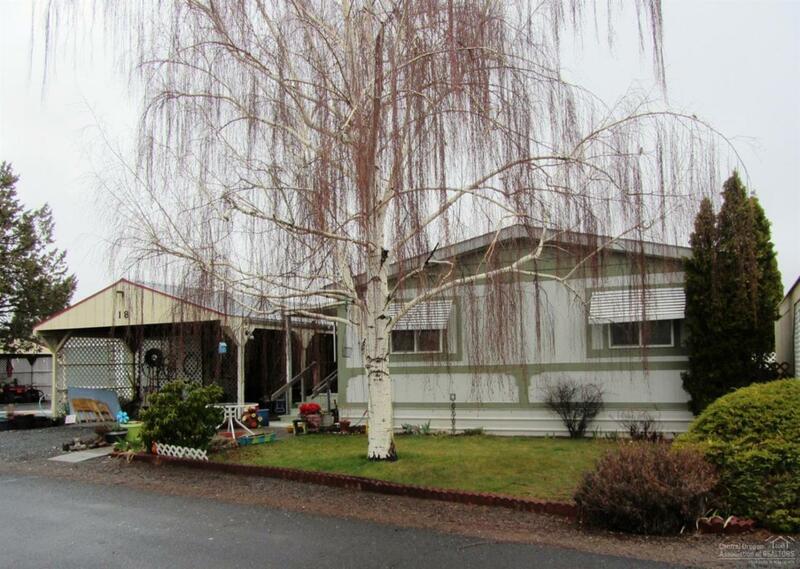 Corner lot where park provides double carport with attached storage unit, and space rent includes water/sewer/trash. 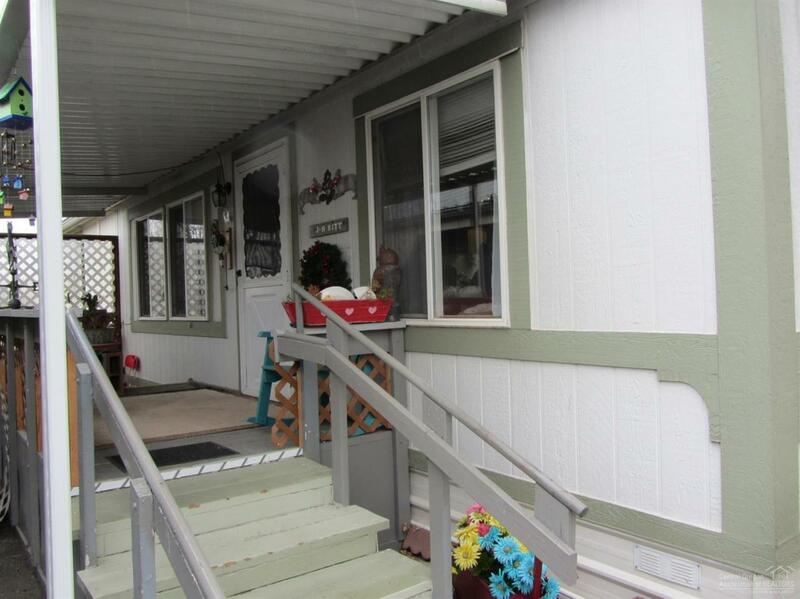 All appliances included, large living & dining rooms, separate utility room, walk-in closet. You'll appreciate the newer roof, windows, furnace, and heat-pump for central air conditioning. Affordable, great value for quick sale, act now. 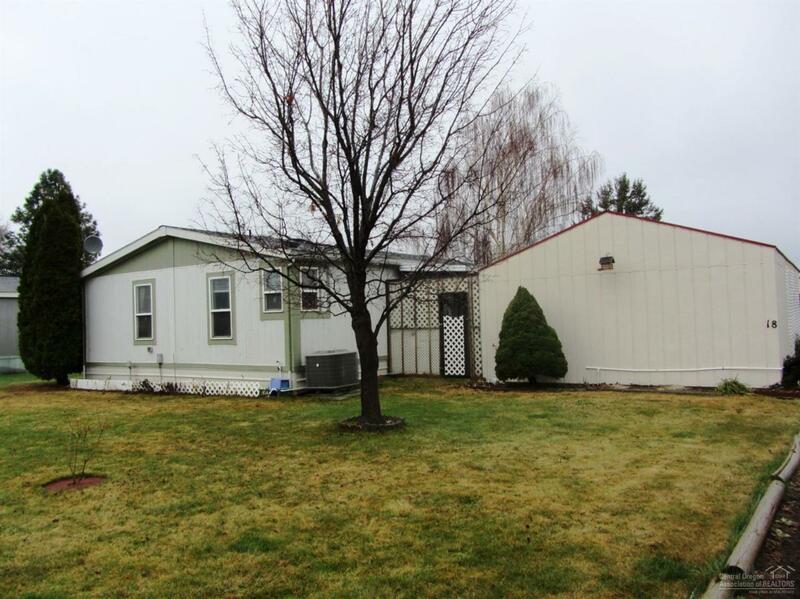 Leased Components Space With Carport & Attached Storage Shed.